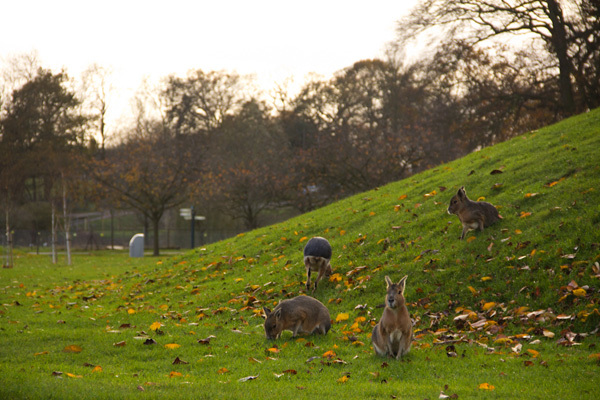 The latest from London-based editor and resident zoologist, Justine Aw. 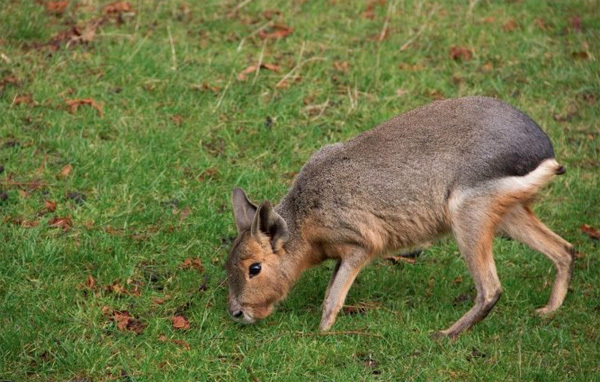 When you first see a Mara or Patagonian cavy (Dolichotis patagonum), it’s hard to know what to make of it. It looks like a chimerical creature, part rabbit, part deer with it’s hunched posture and long slender legs. But the mara is neither! They are actually rodents and most closely related to guinea pigs. 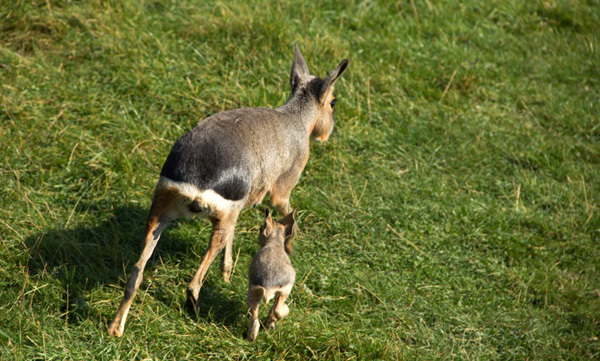 Those long deer-like legs are adaptations for running and even have hoof-like claws on the hind feet! All advantageous for foraging in their native Argentine grasslands. These little creatures can reach speeds of 45 kilometres per hour. Maras are one of the few mammals species that appear to be truly monogamous, pairing for life and with pairs generally avoiding and fending off others of the same species. Yet curiously, maras raise their young together in communal creches! Like guinea pigs, the babies (usually 2) are born well developed with their eyes open. 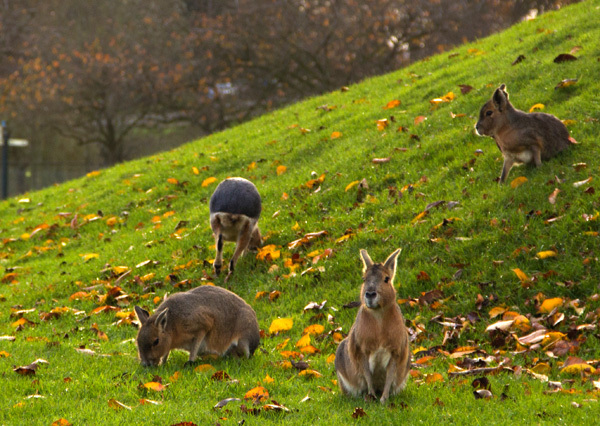 We encountered this lot at ZSL Whipsnade Zoo, where maras are one of three species which have more or less free range throughout the park. It’s a great place to encounter them and it’s fascinating to watch them play and forage among and between all of the other animal enclosures. 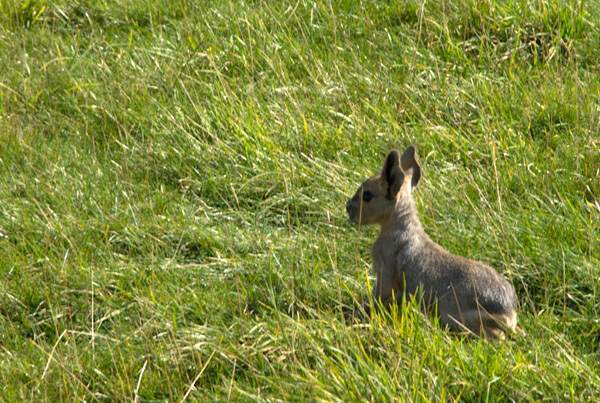 We spotted a new baby too, which was the size of a young rabbit (and extremely cute!). More photos on the next page and you can find out more about these charming little creatures from ARKive! 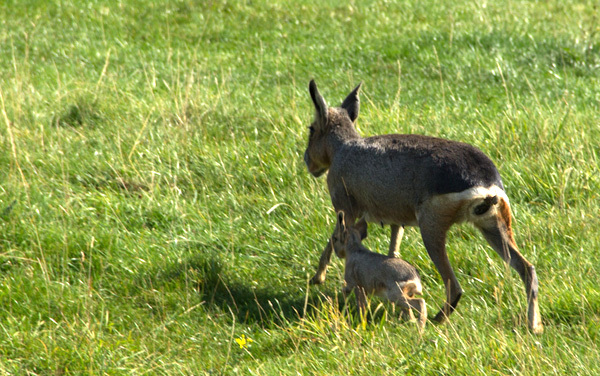 At Whipsnade, the mara are one of the free roaming species, wandering more-or-less freely throughout the park, including within many of the animal enclosures. Here they are amongst the gemsbok. 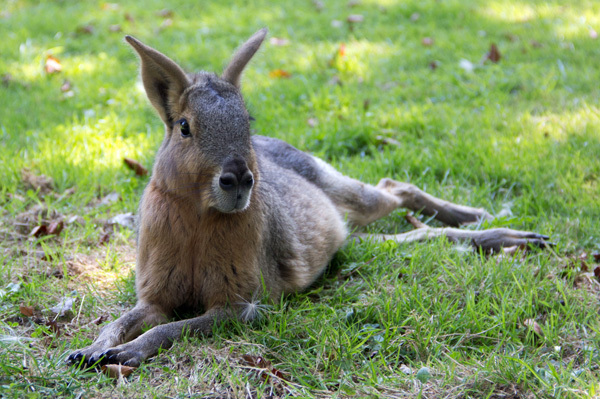 Maras relaxing near a picnic spot in the park. 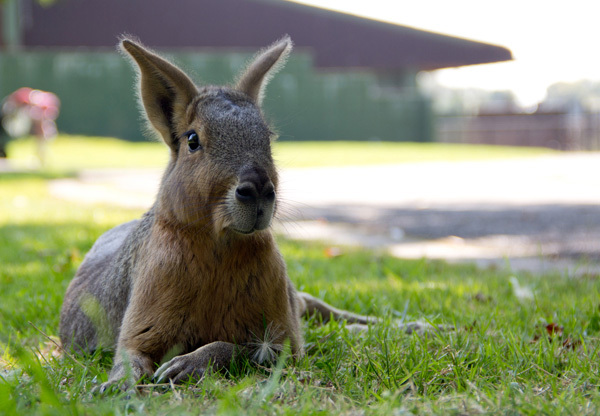 A baby mara, only about the size of a baby rabbit! But struggling to keep up as it’s still a little wobbly on its feet! So cute, like a tiny version of its mom. 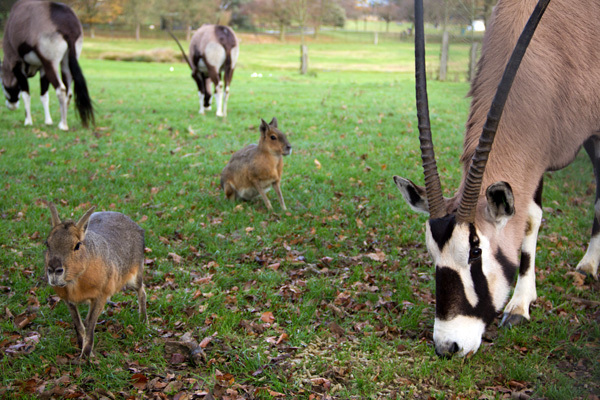 Hi I am a regular visitor to Whipsnade ZSL zoo and have often wondered if they have to cull the Mara that roam freely throughout the park. Every year my husband and I see lots of newborns so I’m presuming they breed quite rapidly.